Apple has released AirPods firmware version 3.5.1. Here’s what you need to know about this latest AirPods firmware release. Apple usually makes somewhat of a song and dance about firmware releases for its many products, with new versions of iOS, maOS, tvOS, and of course, watchOS, going through an extended period of internal and external testing before they are pushed to users for final download and install. However, the company appears to be adopting a different method with its recently released W1 chip-powered AirPods product, with new firmware version 3.5.1 now quietly rolling out to users. One of the benefits of Apple actually having some kind of beta release in place for other platforms is that it directly involves the public, and therefore gives device owners an opportunity to see exactly what’s included with the release. As an example, with the current beta release of iOS 10.3, device owners know there has been improvements made to Siri and changes made to Find My iPhone to cater for the AirPods, amongst other changes. The fact that Apple has silently updated AirPods from version 3.3.1 to version 3.5.1 is not necessarily a bad thing, but it doesn’t inform product owners of exactly what has been changed or improved. Having the AirPods housed within the provided Charging Case, and connected to an iPhone, enables Apple to update the installed firmware automatically in the background without any user interaction required by utilizing the cellular or WiFi connection of the device. 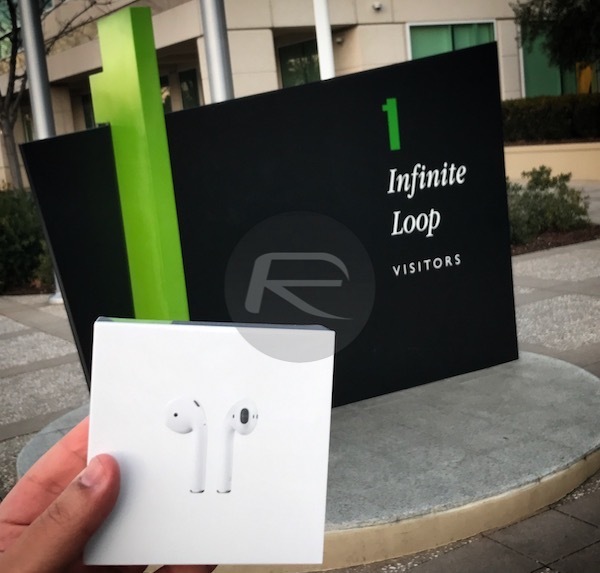 A number of users have publicly been complaining about the performance of Apple’s AirPods, and more specifically, highlighting issues with the battery life received on the product. Without official confirmation, or a set of release notes at a minimum, its very difficult to confirm, but it appears that the firmware update could potentially have been put in place to address some of those niggles. AirPod owners have also complained of dropped connection during phone calls on older iPhone models, a fix for this too might be included in the firmware update. To make sure your AirPods are updated to the latest version, put the AirPods back in the Charging Case, then open the lid when it’s near your iPhone and make sure they are connected (a pop-up should appear on iPhone to confirm connection). Then close the lid and just wait a few minutes for the firmware update to complete in the background. 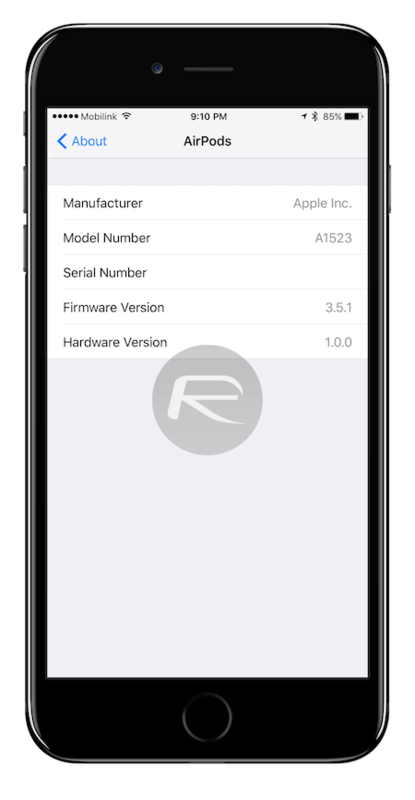 To check which firmware version you are on, make sure your AirPods are connected to your iPhone and then head to Settings > General > About > AirPods on your phone to see the firmware version.